Tesla opened up its 14-day Enhanced Autopilot (EAP) trial for some Model 3 owners over the weekend and we were included in the update. We wanted to share our learnings from the first few days of using the solution around town and on the highway. 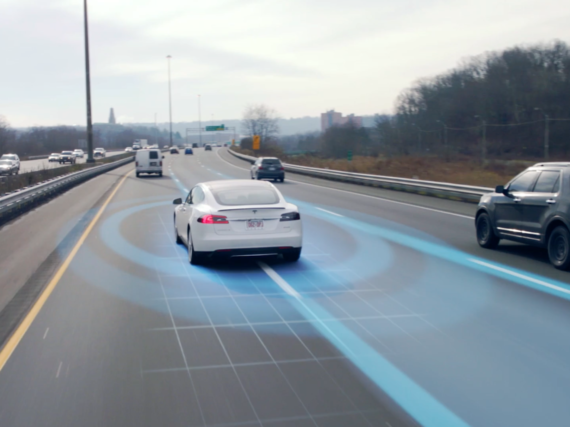 Tesla’s Enhanced Autopilot solution gives owners several new chunks of functionality that work together to make driving a safer, lower stress experience. Features like Summon and Autopark can add immense value in certain situations where tight parking arrangements can make it difficult for a human driver to park. The ability to remotely pull the vehicle out of a parking spot with the phone can be a game changer, but is really just a building block on Tesla’s road to fully autonomous driving. Most drivers won’t use Autopark or Summon for the simple reason that they’re typically more effort than they save. For me to pull into a parking spot is a simple matter of turning the wheel. To use Autopark requires more effort and intention than it’s generally worth. Having said that, it will add value for a select set of drivers that just haven’t mastered or really dislike the task of parking. In the few days of testing I’ve had with Autopilot, I find it to be a very similar situation. Autosteer and Traffic-Aware Cruise Control (TACC) are gifts from the gods for those who spend large amounts of time on the freeway, especially when that is paired with a healthy dose of traffic. The solutions work together to all but automate freeway driving. 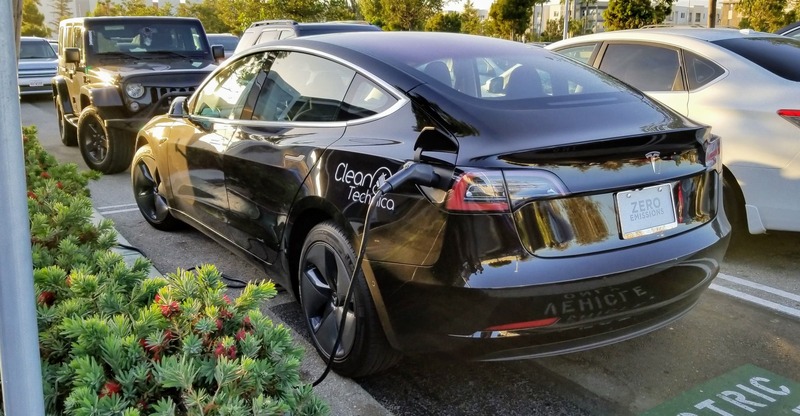 Tech evangelist Robert Scoble, who we talked with at at the Faraday Future event in 2016, took his Model 3 out on a road trip and shared that the solutions automated 97% of the miles on his 8,900 mile road trip. The results on road trips and on the freeway are impressive, but for my own personal commute, I have a hard time justifying the $5,000 cost (if purchased with the vehicle, $6,000 if purchased after the vehicle has been delivered). I drive about 30 miles per day on average, with most of those miles spent on city streets where Autopilot is not intended to be used. I am looking forward to a drive down to Los Angeles on Thursday (I never thought those words would come out of my mouth), where I’ll have the chance to put the solution to the test in ideal conditions. The downside of the solution is clearly the price. If Autopilot was available on a pay per mile basis or on some sort of a subscription basis, it might make more sense, but as it stands, I’m not sure if the solution is for me. Yes, I would love to have it for those edge cases, but dang, the financial barrier to entry is a tough pill to swallow. Looking at a 5-year usage window, the EAP upgrade itself costs a full $3.28 per day (5 years, 365 days = 1825 days = $3.28/day). FSD ups the ante another $5,000, for a total of around $6 per day. In Southern California–speak, that’s two lattes per day for a full 5 years for the two software suites. That’s not a small pill to swallow for Model 3 owners. On the other hand, buying the solutions up front lowers the bar to “just” $8,000 for the pair. Looking to the future, the real motivation for purchasing EAP is going to be Full Self-Driving (FSD) capability. If Tesla can deliver FSD with the existing hardware, as it has promised, it will see a flood of $12,000 upgrades from existing customers looking to go fully autonomous. The ability to get in the car in front of my house and have it drive the kids to school while we work or play games in the back sounds like a great proposal. Road trips then become the equivalent of an airline flight, with the car almost instantly converted to a movie theater on wheels. Tesla’s camper mode and Atari games that will come with version 9.0 of its firmware are but the first fruits of the entertainment suite being built for FSD. Until the day that the full FSD suite is ready for production, I think I’ll put the money in TSLA and let it go, in hopes that it will generate more returns than it would have being invested as a software upgrade for the Model 3. Read more stories from our long-term Tesla Model 3 review.